Like Bradley Cooper and Matthew McConaughey, Ben Affleck has grown out of his laughable goof-ball shell and emerged as a more hard-lined actor who looks to be taken more seriously. He has succeeded for the most part, thanks to some tough roles recently (as well as his fairly impressive directorial output), and although Batfleck has put a bad taste in peoples’ mouths, The Accountant should wash it mostly away. He plays Christian Wolff, a hard-working and intensely focused autistic man who is (as the title suggests) an accountant – he also happens to have a wealth of military assassin-like training under his belt, and Affleck succeeds in pulling off this particularly contradictory character, giving equal attention to brain-power and brawn-power. Christian uses these skills to not only unravel financial embezzlements at a robotics corporation, but to also elude Raymond King (J.K. Simmons), the director of financial crimes at the Treasury Department (who is trying to arrest “The Accountant” behind a number of crime-related murders) as well as “The Assassin” (who just wants to kill him). There’s also Dana Cummings (Anna Kendrick) as Christian’s helper/confidante whose association with him gets her caught up in his troubles, but unfortunately this character (like a few others) acts more as a plot line cog than as a character. The Accountant begins as a drama, turns into a thriller, and ends as an action film, with plenty of development of story and character before the bang begins, giving it a lot more weight. The story impresses as Affleck weaves himself through it with both an assurance and an apprehensiveness, though the drip-fed manner in which its divulged is suddenly disrupted by a rather lofty piece of exposition handled by Raymond, plus an obvious twist regarding a character seen in the flashbacks will have even the most gullible viewers patting themselves on the back for guessing it. There are plenty of chances for The Accountant to discuss the issues of disabilities (both mental and physical) and it flirts with these bigger themes, but only utilises them to serve the story rather than interweave the two and make this a thematically stirring film that it perhaps wants to be. As it stands, The Accountant is a perfectly suitable action-thriller-drama, with plenty of story-building and character-developing until it unfurls its brutish action scenes (that are tinged with a little dead-pan black humour). 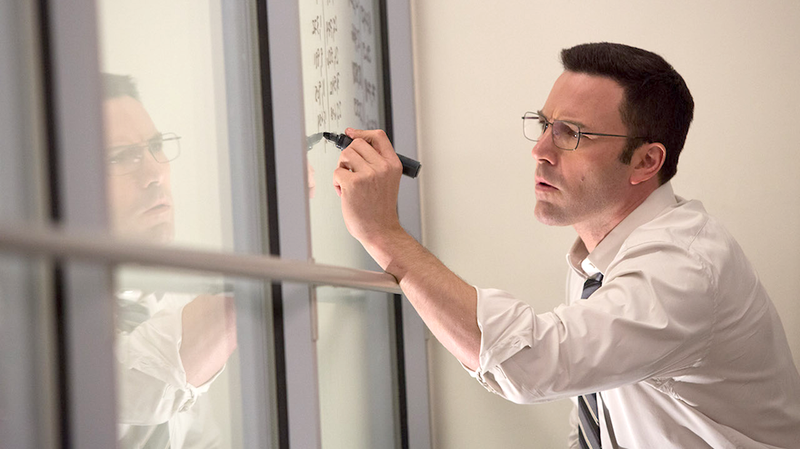 The Accountant sits nicely in between the disappointing blockbusters that came and the awards-season dramas that are on their way, and it may be better than a sizeable amount of them.